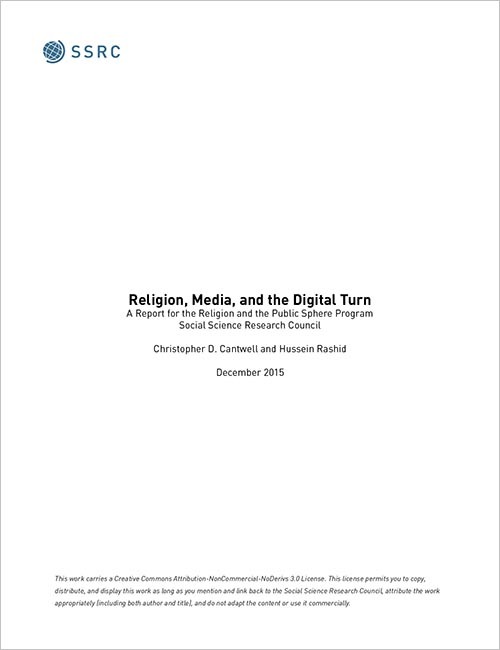 This report by Christopher D. Cantwell and Hussein Rashid begins to document some of the impact that digital modes of research and publication have had on the study of religion. The report, supported by funding from the Henry Luce Foundation is a snapshot of an ever-evolving digital landscape that points towards potential challenges and opportunities for digital scholarship in the future, while highlighting the wealth of resources currently available. Religion, Media, and the Digital Turn (Social Science Research Council, 2015).